Gunjan P Upadhyay, Rameshchandra M Thakker. Background: Pneumothorax is collection of air in the pleural cavity and it may be due to trauma to chest or spontaneous without any trauma. It is a common entity presenting to the emergency room and it needs prompt treatment as delay in treatment may endanger the life of the patient. Objective: To study the aetiology, clinical profile, and management protocols of spontaneous pneumothorax in adults in India. 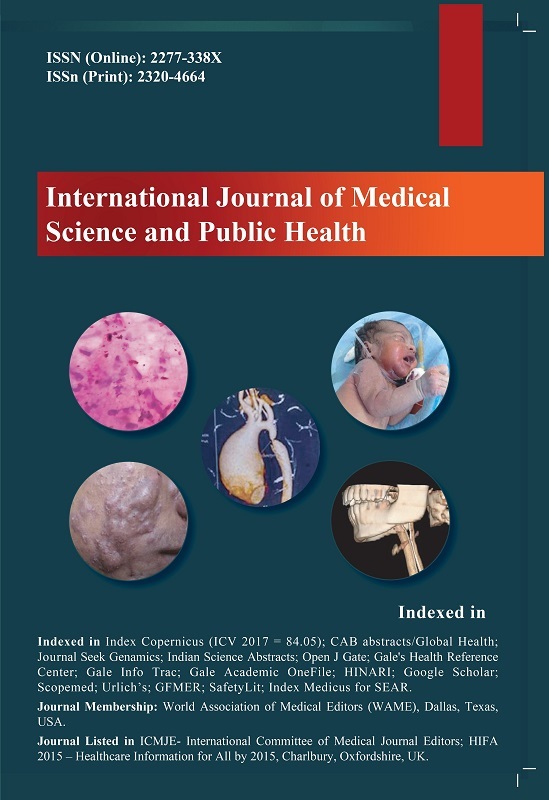 Materials and Methods: Patients admitted with spontaneous pneumothorax in a tertiary hospital of western India from January 2014 to March 2016 were prospectively studied. Study was planned so as to enrol first consecutive 100 patients admitted with diagnosis of spontaneous pneumothorax. Detailed history, clinical examination and necessary investigations of all patients were done and results were compared with popular studies carried out in India in past. The changing trends and similarities between the studies were noted. Result: Annual incidence of spontaneous pneumothorax was calculated as 21.739 per 100000 hospital admissions. Out of 100 patients studied 95 were diagnosed with secondary spontaneous pneumothorax and 5 with primary spontaneous pneumothorax. Chronic obstructive pulmonary disease (COPD) was found to be the most common aetiological factor. Male to female ratio was found to be 9:1. Age distribution showed a biphasic pattern. Conclusion: Spontaneous pneumothorax (SP) is more common in men. In India secondary spontaneous pneumothorax is far more common than Primary and COPD is the most common cause of spontaneous pneumothorax in this study.